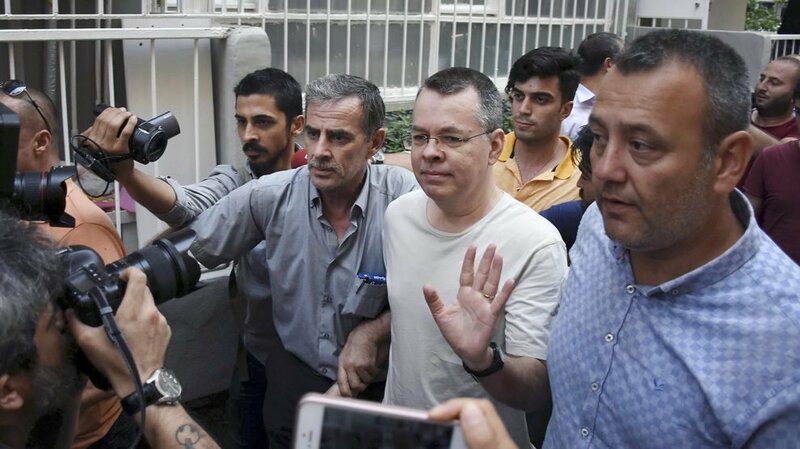 Trump’s latest threat puts Erdogan in a fix because releasing Brunson without a reciprocal move on Gulen’s extradition means a loss of face. Erdogan is acutely conscious of his strongman-image. He must be wondering whether Trump is serious about the ultimatum on Brunson’s release. Brinkmanship comes naturally to Trump. Indeed, with Trump one really doesn’t know what happens next. But Erdogan can be more than a match for Trump in the ‘art of the deal’. At a meeting today with Russian President Vladimir Putin on the sidelines of the BRICS summit in Souh Africa, Erdogan added disdainfully that Trump’s real grouse in giving such an ultimatum yesterday could be that Turkey has drawn close to Russia in the recent times. That is a spin, of course. But then, Erdogan is also hoping to extract a big concession from Putin – deferment of the planned military operation to liberate the northwestern Syrian province of Idlib on the Turkish border from Ankara’s proxy groups. Turkey is keen to retain Idlib as its zone of influence. Yet, the chances are that this time around, Trump probably intends to carry out his ultimatum to impose sanctions on Turkey. The point is, US patience with Turkey seems to be wearing thin. 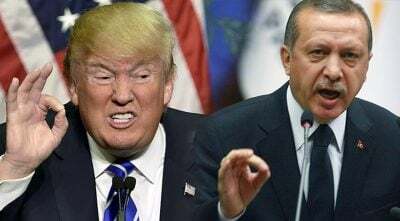 Turkey is no longer a ‘swing’ state in the US’ Middle East strategies, given the poor state of Turkish-Israeli relations, Erdogan’s ‘pivot to Russia’ and the overall trust deficit in Turkish-American relationship. Erdogan snubbed the US threat of sanctions and upheld his decision to purchase S-400 missile defence system from Russia. Last week, Erdogan bluntly rejected the demarche by Washington that Turkey should cut back its oil imports from Iran.